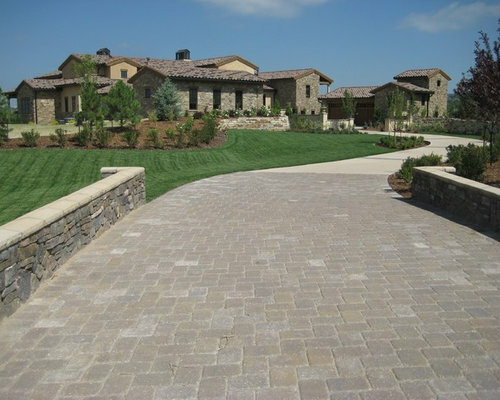 Pavers can be used to create beautiful one of a kind patios, walkways, and drives. With a huge selection of shapes, sizes, and colors, something is sure to fit your style. 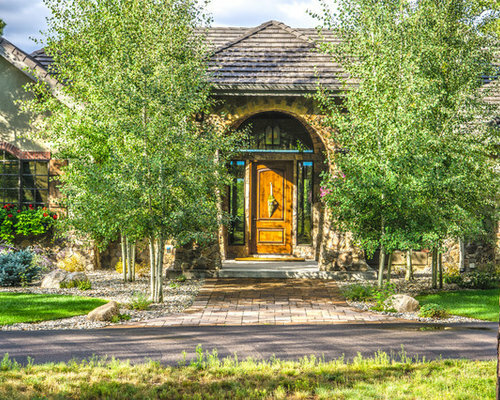 The wide paver walk, framed by aspen, creates a welcoming and inviting entryway into the home. The decorative boulders, colorful plantings, and use of evergreens ensure year round seasonal interest. Pavers are often used in landscaping, being highly prized for beauty, strength and durability. 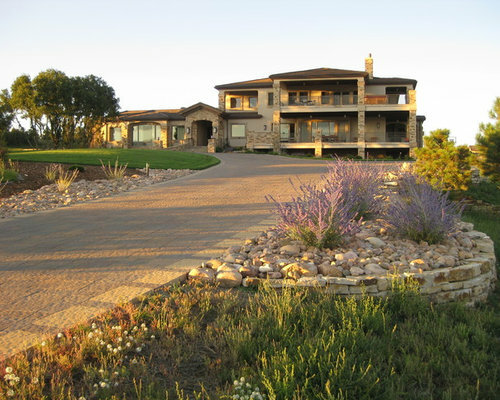 This beautiful driveway compliments the landscape wonderfully, and is built to stand the tests of time . 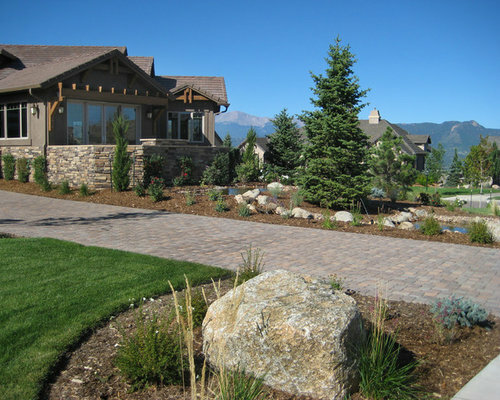 Paver driveways can be a beautiful addition to your home. The wide variety of different colors and patterns to choose from can give your driveway a unique, one of a kind look. A paver driveway apron and bands bring appeal to an otherwise standard concrete driveway.